As we embark upon this exciting journey that is the establishment of a firm dedicated to the practice of law, we do so with an unshakable commitment to principles of justice and the rule of law. It is a tremendous privilege to be able to fight for and defend the rights of others, with the protections afforded by our legal system, and that is something we here at Diaz-Balart Law will never take for granted. With these principles in mind, we dedicate our first blog post to highlight a situation where justice and fundamental human rights are completely lacking. Although our practice is based in Florida, and we will mainly focus on local matters via this blog, we will never shy away from expressing our solidarity with the oppressed and the persecuted, wherever they may be. 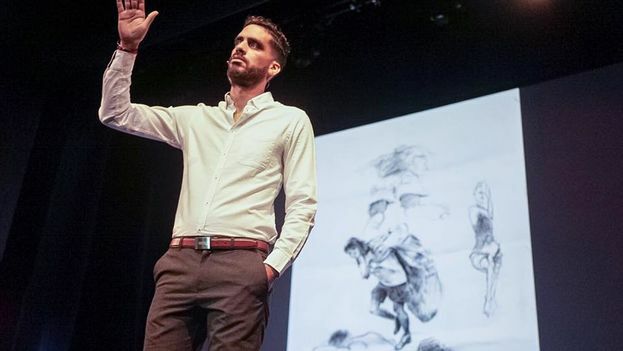 Danilo Maldonado, the Cuban artist known as “El Sexto”, was finally released this past weekend after being unjustly imprisoned in a Cuban maximum security prison for nearly two months. He was held, without formal charges, for calling for a democratic transition via Facebook Live in the wake of dictator Fidel Castro’s death, and for expressing his democratic beliefs through his art. Danilo was beaten, placed naked in solitary confinement, and denied basic medical attention such as his asthma inhaler. Danilo has been jailed in the past for his art: In December of 2014, he was jailed for 10 months for attempting to stage a live art performance with two pigs painted with the words “Fidel” and “Raul”. Danilo is a gentle, intellectual, and freedom-loving individual. He is also fearless, however, and completely unafraid to raise his voice about the need to, once and for all, eliminate the Castro dictatorship. Naturally, this makes him a grave threat to the decrepit, cowardly and criminal Castro regime. Danilo deserves our continued solidarity and support, as do all those who continue to raise their voices for freedom in the face of tyranny and oppression. Recently, American human rights lawyer Kimberley Motley began representing Danilo. Ms. Motley has litigated extensively all over the world, including Afghanistan, where she became the first foreign-born lawyer to practice law in that country. In December, Ms. Motley traveled to Havana to try and investigate her client’s case. As any lawyer practicing in virtually any country would, Ms. Motley attempted to visit Danilo in prison. Without explanation, Cuban authorities denied her permission to see her client. When she attempted to obtain copies of any police or arrest reports, her requests were also denied. As a result of her attempts to try and investigate her client’s case, Ms. Motley herself fell victim to the criminal Castro regime. On December 16, 2016, just outside the capitol building in Havana, she was suddenly and aggressively surrounded by 15 to 20 plain-clothed Cuban state security officials. Despite her repeated pleas for information on why she was being arrested, she was placed in the back of a non-marked vehicle, and taken to an unknown location. Ms. Motley was aggressively interrogated without a Spanish interpreter for 5 hours before finally being released. When she got back to her hotel room, she noticed that all her belongings had been searched. The harassment from Cuban state security continued until the moment she stepped foot on her departing flight the following day, under constant threat of arrest until her final moment on Cuban soil. We thank Ms. Motley for her courageous and continuing efforts to defend the rights of persecuted individuals like Danilo Maldonado. We here at Diaz-Balart Law will always remain committed to principles of justice and look forward to lending our voices, and our services, whenever possible, to these important causes.